My bro and I just put together a couple videos of my old fogey and figured I'd share it with everyone. One of the videos includes some onboard footage using a Mobius. The fogey isn't extremely fast or exciting but I'm still a beginner . Feel free to respond with links of your own flying videos. I'd be stoked to check them out. Really cool videos and I loved the onboard footage! I love the Old Fogey's short and stubby design I want one now, haha! Nice work on the Fogeys, I have 2 my self and love flying them! nice camera work. Welcome to the forum! Thanks for checking out my videos and welcoming me to the forum all. Seems like a very friendly community so far. We try to make it as friendly as possible since we are all trying to promote the hobby to the potential new pilots and we also have a lot of old school fuel pilots that got back in due to the ease of electric and all skills in between. Bottom line is we welcome noobs rather than bash them since we all had to start somewhere, and most of us pay attention to that rather than berate someone who is just getting started. I never understood that "old guy" attitude...even though I might be considered an old guy. Enjoyed both the videos. The Old Fogey was the first and only FT scratchbuild I've managed to make fly. 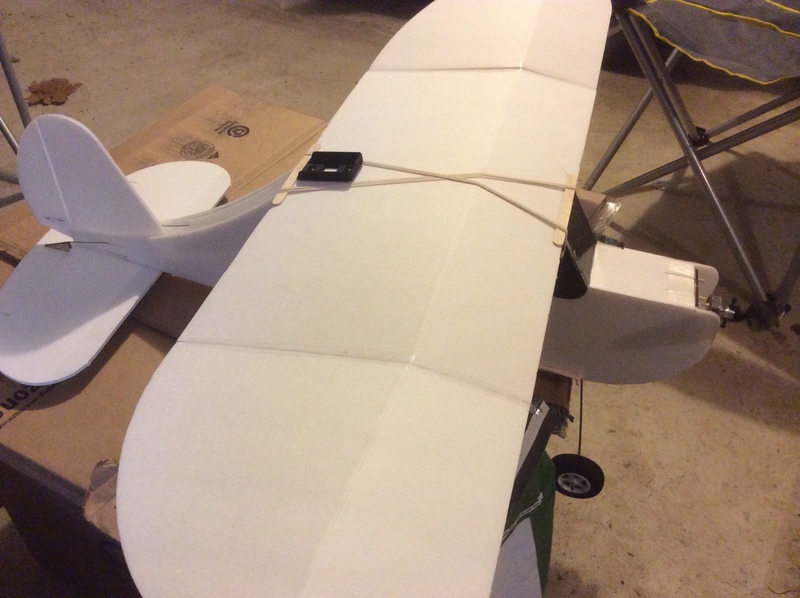 I've built three so far and folded the wings on each, but I'm not flying the recommended 500mah battery (using 2200mah). Looks like yours is flying well, what electronics are you running? That's a bummer that you haven't had much luck with the fogeys from a durability standpoint. I took the lazy approach. I bought the speed-build kit and powerpack from Lazertoyz. The electronics included: Blue Wonder(1300kv brushless), 9 gram servo, 10A Brushless ESC, Turnigy 1000 mAh battery, and the prop. The next plane I want to build is the FT F-22 or the FT Versa Wing. I really want to get into FPV so the Versa would probably be the better choice. I've built three so far and folded the wings on each, but I'm not flying the recommended 500mah battery (using 2200mah). 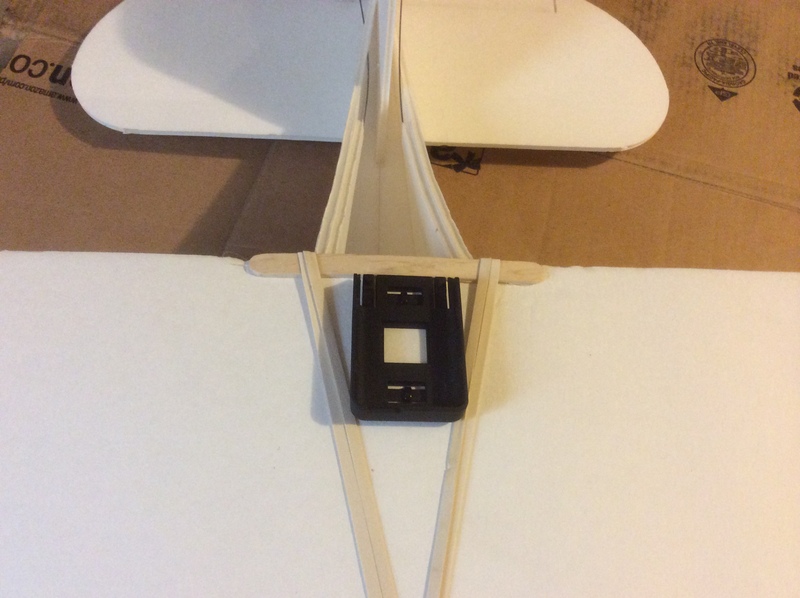 I've heard of someone adding a flat bottom to the airfoil and for him he was able to do loops and more stressful maneuvers without folding the wings. The plane won't be as slow or floaty as a result, but is still a worth while mod. Great videos Red Dog. I may have to re-try capturing on board footage with my Fogey, but aim it towards the tail this time. All I captured was sky because the Fogey likes to fly nose up. Thanks for checking it out rcspaceflight. Here's where I mounted my mobius. I had to move the battery way up to get the CG right though.